It's the season finale of Rooster Teeth's newest series - how does it stack up against their other works? The final episode of gen:LOCK has arrived, and that leaves a lot to talk about with the series itself. Before its release, it was one of the most anticipated projects of 2019. With the first chapter of the gen:LOCK recruits story coming to a close, how does the show hold up to the hype it gained? Well, the final episode, ‘Identity Crisis’, promises an interesting conclusion to a beautifully animated show. ‘Identity Crisis’ opens up with Migas contacting the gen:LOCK team at the RTASA facility, explaining that though Dr Weller didn’t survive the Union attack, he was able to replicate a signal that disabled the union’s nanomachines, saving the Anvil and many of its staff. With the team reunited with the Vanguard, they organize to an attack to stop Nemesis as the Union invade Chicago. The gen:LOCK recruits go up against an improved Nemesis, and are only able to gain the upper hand when they join minds. However, by this point, they’ve exceeded their up-time limit, and Chase distracts Nemesis to allow his comrades to download, losing his own body in the process. Nemesis soon catches on with Chase’s plan and is about to kill the pilots when he is attacked by Sinclair’s Holon, piloted by Leon. This provides enough time for the gen:LOCK pilots to download again, where all five of them join minds and are able to defeat Nemesis. Victorious, Leon tries to download but goes into a coma, and the team are transferred elsewhere. ‘Identity Crisis’ concludes on a post credit scene, where it shows Robert Sinclair – the gen:LOCK recruit the Union impersonated – alive and escaping Union territory. Though the finale had the same level of quality as the rest of the season, the majority of ‘Identity Crisis’ is an extended fight scene. The audience still get to see some of the relationships between the characters, which has always been a major strength of the show – the one that gets most of the screen time is between Chase and Nemesis, as their rivalry comes to a head. The audience also kind of see a conclusion to what Miranda and Chase have, as for the moment they stay friends to some ambiguous degree. Speaking of characters, how is Robert Sinclair going to fit into the story in the future? How and when will he meet the gen:LOCK team? The fact that Leon was able to use Sinclair’s Holon is a bit of a stretch for plot convenience. It was previously explained that Leon was gen:LOCK compatible with the exception of being too old for the program, which is presumably what drives him into a coma. However, do the team really just carry Sinclair’s unused Holon wherever they go? Really? Do they just keep that Holon as a spare at the edge of the battlefield just in case? Though Leon’s compatibility was mentioned, this move to buy the recruits more time seems to be pulled out of nowhere, and affects the episode negatively, especially since every detail about the show has been crafted to meticulous detail. It just doesn’t feel right. The upgrades that Nemesis receive make him nothing short of evil. The integration of the nanotech to his Holon and additional limbs make him more insect like, or as Chase humorously puts it ‘big, tall and ugly got…more like that’. Again, as with other parts of the show, Nemesis is partly inspired by outside influences, as the way he forms swords from his nanomachines looks very similar to the design of the protagonist in the Prototype games. It’s a bit of a shame that he wont be making as much of an appearance in the future, but that only begs the question: what lies ahead for the gen:LOCK team? What can possibly be more threatening and terrifying than an enemy that could read their thoughts? The audience also sees Nemesis’ avatar clearly for the first and last time in this season, though flashes of him have been seen in the show’s opening. He looks very similar to Chase, with a few glowing red scars and a noticeable Union emblem on his chest. It should be noted that in Chase and Nemesis’ final conversation together, while holding a blade to his chest, Chase asks Nemesis ‘what am I supposed to do?’ with Nemesis replying ‘kill these copies’. Does the union have multiple copies of the original Chase? There is a small detail to note before all the action happens: back at the RTASA base, before the gen:LOCK team are deployed to Chicago, Dr Jha and Chase have a brief conversation. When they finish, Jha gives a questionable look to Caliban. Why does she look at her ex-husband’s creation in a negative way? With the conclusion of gen:LOCK, there are some additional points to talk about with the show. This is the first time that Rooster Teeth opened up one of their projects to members of the SAG-AFTRA (Screen Actors Guild-American Federation of Television and Radio Artists). In an interview, the show’s creator Gray Haddock commented that this was to help Rooster Teeth ‘grow up as a business’, and this was a very wise move from the company. Not only did having big names who are members of the group – like Michael B. Jordan, Dakota Fanning and David Tennant – help promote the show, but it’s also allowing for the company itself to be seen as a more mainstream media company than only being known for gamer-centric content. Some fans might find the fact that the season was only eight episodes long disappointing. However, as previously stated at the show’s release, this is the most ambitious project that Rooster Teeth have done to date. Using years of experience from Red vs Blue and RWBY to opening up to one of the biggest actor unions in the states. All that time and energy can seriously be taxing, so while it is a shame that is all the gen:LOCK fans will be getting at the moment, it is understandable. However, gen:LOCK is truly deserving of its title as one of 2019’s most anticipated projects, and you could even go so far to call it Rooster Teeth’s crowning achievement. 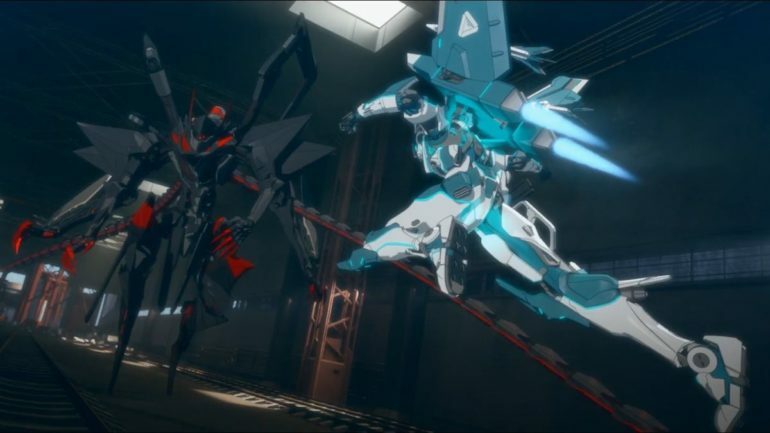 Check out the rest of our gen:LOCK reviews here. While one moment heavily affects the rest of the episode’s quality, ‘Identity Crisis’ treats fans to the season’s conclusion with a lot of gorgeously animated, testosterone-injected action. With a spy somewhere in the British cabinet, Traitors turns up the tension and keeps you guessing throughout.